Brown, Malcolm (2005). 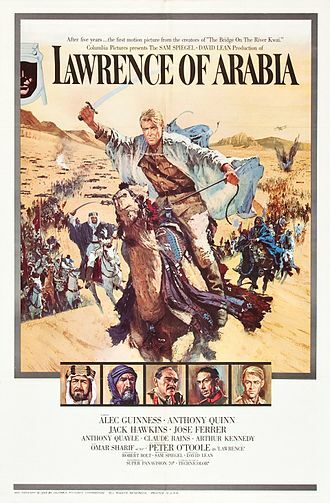 Lawrence of Arabia: the Life, the Legend. 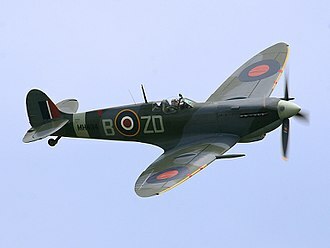 London, Thames & Hudson: [In association with] Imperial War Museum. ISBN 978-0-500-51238-8. Brown, Malcolm (1988). The Letters of T. E. Lawrence. Ciampaglia, Giuseppe (2010). Quando Lawrence d'Arabia passò per Roma rompendosi l'osso del collo. Roma: Strenna dei Romanisti, Roma Amor edit. Graves, Richard Perceval (1976). Lawrence of Arabia and His World. Thames & Hudson. ISBN 978-0500130544. Hyde, H. Montgomery (1977). Solitary in the Ranks: Lawrence of Arabia as Airman and Private Soldier. London, Constable. ISBN 978-0-09-462070-4. Knightley, Phillip; Simpson, Colin (1970). The Secret Lives of Lawrence of Arabia. McGraw-Hill. ISBN 978-1299177192. Lawrence, T. E. (1926). Seven Pillars of Wisdom (1926 Subscribers' Edition). ISBN 978-0-385-41895-9. 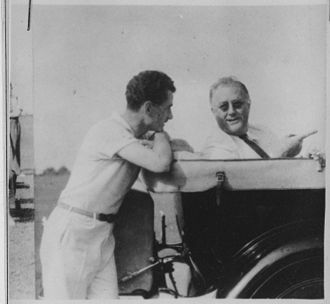 Lawrence, T. E. (1935). Seven Pillars of Wisdom (1935 Doubleday Edition). ISBN 978-0-385-07015-7. Lawrence, T. E. (2003). 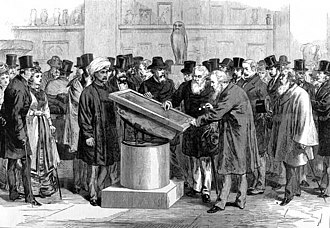 Seven Pillars of Wisdom: The Complete 1922 Text). ISBN 978-1-873141-39-7. Leigh, Bruce (2014). T. E. Lawrence: Warrior and Scholar. Tattered Flag. ISBN 978-0954311575. Mack, John E. (1976). 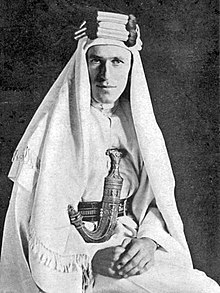 A Prince of Our Disorder: The Life of T. E. Lawrence. Boston, Little, Brown. ISBN 978-0-316-54232-6. Marriott, Paul; Argent, Yvonne (1998). The Last Days of T E Lawrence: A Leaf in the Wind. The Alpha Press. ISBN 978-1898595229. Meulenjizer, V (1938). Le Colonel Lawrence, agent de l'Intelligence Service. Brussels. Norman, Andrew (2014). Lawrence of Arabia and Clouds Hill. Halsgrove. ISBN 978-0857042477. Norman, Andrew (2014). 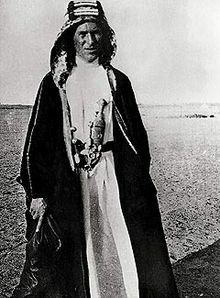 T. E. Lawrence: Tormented Hero. Fonthill Media. ISBN 978-1781550199. Orlans, Harold (2002). 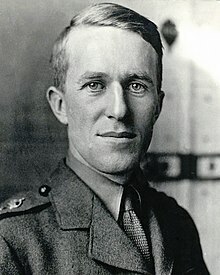 T. E. Lawrence: Biography of a Broken Hero. Jefferson, North Carolina, and London, McFarland. ISBN 978-0-7864-1307-2. Paris, T.J. (September 1998). 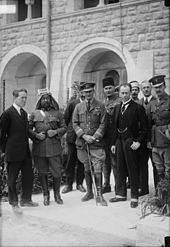 "British Middle East Policy-Making after the First World War: The Lawrentian and Wilsonian Schools". Historical Journal. 41 (3): 773–793. doi:10.1017/s0018246x98007997. Penaud, Guy (2007). Le Tour de France de Lawrence d'Arabie (1908). Editions de La Lauze (Périgueux), France. ISBN 978-2-35249-024-1. Rosen, Jacob (2011). "The Legacy of Lawrence and the New Arab Awakening" (PDF). Israel Journal of Foreign Affairs. V (3). Archived from the original (PDF) on 4 March 2016. Sarindar, François (2011). 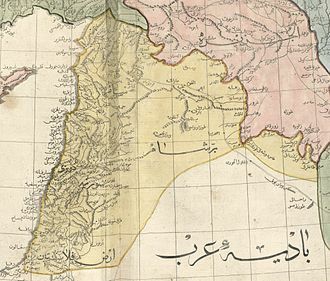 "La vie rêvée de Lawrence d'Arabie: Qantara". Institut du Monde Arabe (in French). Paris, France (80): 7–9. Sarindar, François (2010). Lawrence d'Arabie. Thomas Edward, cet inconnu. Editions L'Harmattan, collection ″Comprendre le Moyen-Orient″ (Paris), France. ISBN 978-2-296-11677-1. Sattin, Anthony (2014). Young Lawrence: A Portrait of the Legend of a Young Man. John Murray. ISBN 978-1848549128. Thomas, Lowell (2014) . With Lawrence in Arabia. Nabu Press. ISBN 978-1295830251. Wilson, Jeremy (1989). Lawrence of Arabia: The Authorised Biography of T. E. Lawrence. ISBN 978-0-689-11934-7. Kirkcudbright, is a town and parish in Kirkcudbrightshire, of which it is traditionally the county town, within Dumfries and Galloway, Scotland. The town lies southwest of Castle Douglas and Dalbeattie at the mouth of the River Dee, spottiswood, in his account of religious houses in Scotland, mentions that the Franciscans or Grey Friars had been established at Kirkcudbright from the 12th century. No traces of the Greyfriars or Franciscan dwellings remain in the parish of Kirkcudbright, in 1453 Kirkcudbright became a royal burgh, and about a century later, the magistrates of the town obtained permission from Queen Mary to use part of the convent and nunnery as a parish church. From around 1570, Sir Thomas MacLellan of Bombie, the magistrate, received a charter for the site, its grounds. MacLellan dismantled the church in order to obtain material for his new castle, a fine house. After defeat at the Battle of Towton, Henry VI of England crossed the Solway Firth in August 1461 to land at Kirkcudbright in support of Queen Margaret at Linlithgow. The town for some time withstood a siege in 1547 from the English commander Sir Thomas Carleton but after the surrounding countryside had been overrun was compelled to surrender. Kirkcudbright Tolbooth was built between 1625 and 1629 and served not only as the tolbooth, but the offices, the burg and sheriff courts, the criminal prison. One of the most famous prisoners was John Paul Jones, hero of the American navy, the Kirkcudbright Railway opened in 1864 but the railway line and station closed in 1965. The war memorial dates from 1922 and is by George Henry Paulin, the area remains in active use for live-firing exercises to this day. 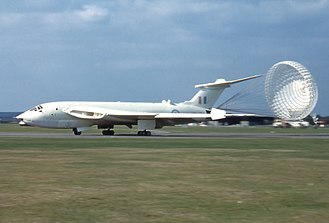 Part of the area is the Dundrennan Range, a weapons development. The use of range for the testing of depleted uranium shells has been controversial. The range contains one of the two surviving A39 Tortoise heavy assault tanks from the six prototypes originally produced, the 32-pdr gun has been removed and the tank is used for target practice. Due to the designation as a Site of Special Scientific Interest. 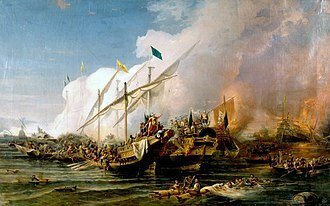 Contrarily, Turks accused rebelling tribes of betraying the Muslim Caliphate during a campaign against imperialist powers which were trying to divide and govern the Muslim lands. 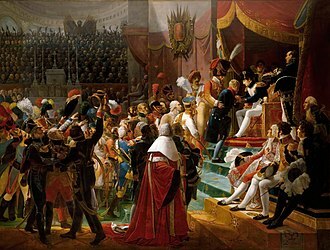 The rise of nationalism under the Ottoman Empire dates from at least 1821, Arab nationalism has its roots in the Mashriq, particularly in countries of Sham. 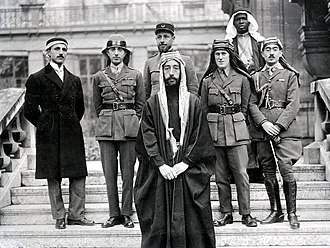 The political orientation of Arab nationalists in the prior to the Great War was generally moderate. 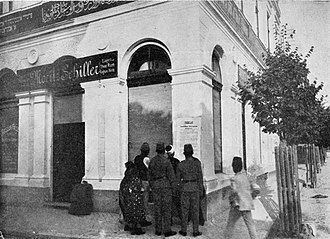 The Young Turk Revolution began on 3 July 1908 and quickly spread throughout the empire, as a result, sultan Abdul Hamid II was forced to announce the restoration of the 1876 constitution and the reconvening of the Ottoman parliament. 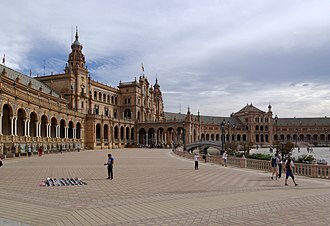 This period is known as the Second Constitutional Era, in the elections held in 1908, the Young Turks through their Committee of Union and Progress managed to gain the upper hand against the Liberal Union led by Prince Sabahaddin. The CUP preached a message that was a mixture of Pan-Islamism and Pan-Turkicism, at its heart, the CUP were Turkish nationalists who wanted to see the Turks as the dominant group within the Ottoman Empire. 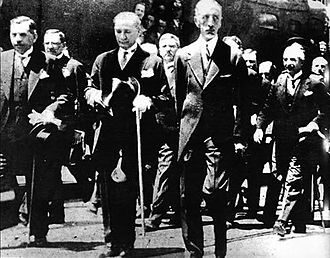 The new parliament was composed of 142 Turks,60 Arabs,25 Albanians,23 Greeks,12 Armenians,5 Jews,4 Bulgarians,3 Serbs, the CUP in the parliament gave more emphasis to centralization and a modernization program. At this stage, Arab nationalism was not yet a mass movement, many Arabs gave their primary loyalty to their religion or sect, their tribe, or their own particular governments. 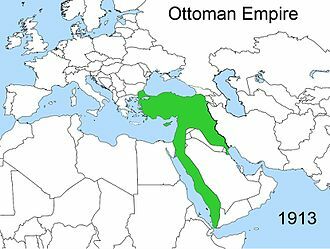 The ideologies of Ottomanism and Pan-Islamism provided strong competition for Arab nationalism, in the Ottoman Empire, Sunni Islam was the state religion, and the sultan-caliph was the supreme religious-political leader, thus making the crown and the faith one and the same. Before 1914, of the ten million or so Arabs living under Ottoman rule, only a mere 350 were involved in various feuding nationalist groups, most of whom wanted only autonomy rather than independence. Arab members of the parliament supported the countercoup of 1909, which aimed to dismantle the constitutional system, in 1913, intellectuals and politicians from the Arab Mashriq met in Paris at the First Arab Congress. St Aldates is a Church of England parish church in the centre of Oxford, in the Deanery and Diocese of Oxford. The church is on the street named St Aldates, opposite Christ Church, the church has a large congregation and has a staff team of about 30 which includes clergy and administrative staff. The offices of the Rector and other members of staff are at 40 Pembroke Street, the site has been used for Christian worship dating back to the Saxon era. It may have one of three churches within the monastic precinct of Saint Frideswide. The first major constructions, in the 12th century, were the nave and chancel, since the church has been extended and remodeled at various times. The original tower built during the 13th century was rebuilt in 1873. The south and north aisles - either side of the nave - were added in the 14th and 15th centuries respectively in order to accommodate the population of Oxford. The modern church was developed during the century, with a remodeling of the interior in 1832. Most notably, during the 46 year ministry of Canon Alfred Christopher, a highly regarded leader from 1859–1905, the north and south chancel aisles, further remodeling was completed in 2002. Most noticeably, the North Wall was knocked open to create a glass vestibule that opened the church up to the main road of St Aldate’s Street. In addition, the graveyard at the front has been landscaped to open up a garden at the front of the church for tourists, St Aldates is a parish in the Deanery and Diocese of Oxford and therefore comes under the administrative care of the Bishop of Oxford. The Church is governed locally by the Church Leadership and the Parochial Church Council, most of the congregation live outside the Parish. Members are drawn from throughout the city and surrounding villages, as far as Grove, due to the nature of academic life in Oxford, the congregation is very fluid and it is estimated that up to 30% change each year. There is a range of ages and stages in life in the congregation, with a number of people, young families, families with teenagers and single people, youth. The Battle of Megiddo was the final Allied offensive of the Sinai and Palestine Campaign of the First World War. 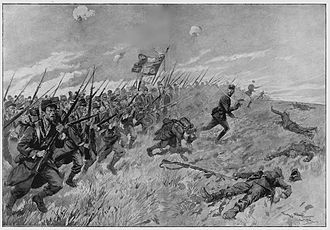 The series of battles took place in what was the central and northern parts of Ottoman Palestine and parts of present-day Israel, the Desert Mounted Corps rode through the breach and almost encircled the Ottoman Eighth and Seventh Armies still fighting in the Judean Hills. 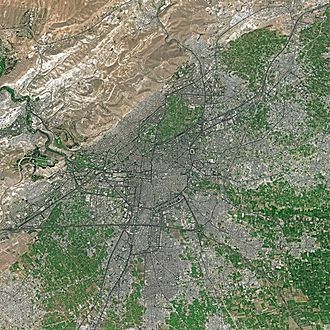 The subsidiary Battle of Nablus was fought virtually simultaneously in the Judean Hills in front of Nablus, the Ottoman Fourth Army was subsequently attacked in the Hills of Moab at Es Salt and Amman. 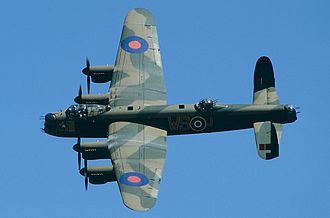 These battles resulted in tens of thousands of prisoners and many miles of territory being captured by the Allies. 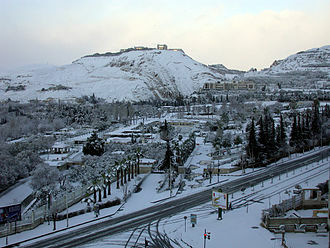 The irregular forces of the Arab Revolt played a part in this victory, across this plain several armies, from the ancient Egyptians to the French under Napoleon, had fought on their way towards Nazareth in the Galilean Hills. 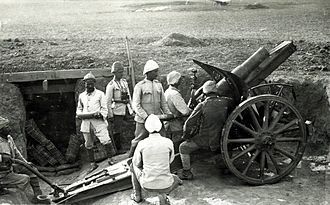 The Entente Powers had declared war on the Ottoman Empire in November 1914, in early 1915 and in August 1916 the Ottomans, with German commanders and encouragement, had attacked the Suez Canal, a vital link between Britain and India and New Zealand. 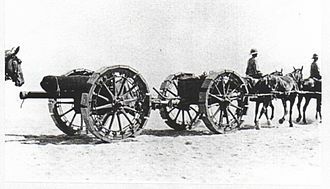 Having constructed a railway and water pipeline across the desert, Murray attacked southern Palestine, in the First Battle of Gaza and the Second Battle of Gaza in March and April 1917, the British attacks were defeated. 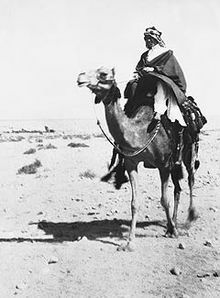 In 1916, the Arab Revolt against Ottoman rule had broken out in the Hejaz, led by Hussein bin Ali, finally and bedouin tribesmen won the Battle of Aqaba in July 1917. 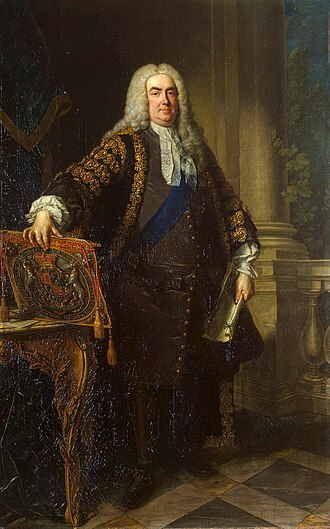 The capture of the port of Aqaba allowed the Allies to supply Feisals forces, General Edmund Allenby had been appointed to succeed Murray in command of the EEF, and was encouraged to renew the offensive. After receiving reinforcements, he broke through the Ottoman defences in the Third Battle of Gaza, despite Ottoman counter-attacks, the EEF captured Jerusalem in the second week in December 1917. 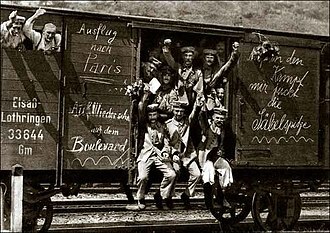 After a pause of several weeks caused by bad weather and the need to repair his lines of communication, however, in March, the Germans launched their Spring Offensive on the Western Front, intending to defeat the Allied armies in France and Belgium. County Westmeath is a county in Ireland. It is in the province of Leinster and is part of the Midlands Region and it originally formed part of the historic Kingdom of Meath. It was named Mide because kingdom was located in middle of Ireland, Westmeath County Council is the government for the county, the capital is Mullingar. The population of the county is 88,396, following the failure of male heirs, the Lordship was split between de Lacys great-granddaughters. 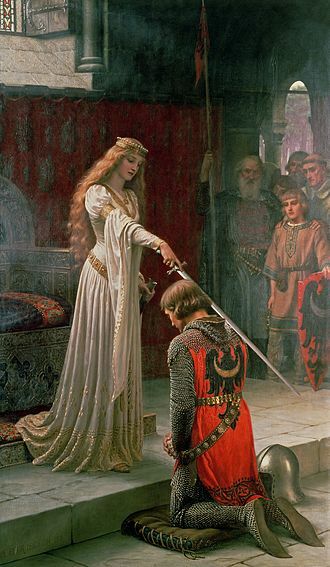 The western part was awarded to Margery and her husband, John de Verdun, son of Walter de Lacy while the eastern part, the official establishment of County Westmeath dates to 1543, and it was named after the kingdom of Mide. Westmeath is the 20th largest of Irelands 32 counties by area and it is the sixth largest of Leinster’s 12 counties in size and eighth largest in terms of population. It was named after the kingdom and province of Meath. Westmeath was shired under The Counties of Meath and Westmeath Act of 1543, the summit of Mullaghmeen is the highest point in County Westmeath. At just 258 metres this makes it the lowest county top in Ireland, the head office of Westmeath County Council is located in Mullingar. The three electoral areas of Westmeath are Athlone, Mullingar-Coole and Mullingar-Kilbeggan, the Local Government Act 1898, provided the framework for the establishment of County Councils throughout Ireland. The first meeting of Westmeath County Council was held on 22 April 1899, westmeaths population growth has been stronger than the national average. After the Great Famine, the population of Westmeath declined dramatically and it stabilized in the middle of the 20th century, and has continued to grow. 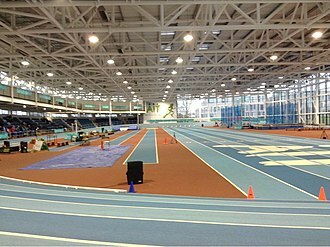 Westmeaths proximity to Dublin with good facilities and frequent rail service has made commuting popular. County Westmeath saw a decline in population during 18th and 19th century, the largest town in the county is Athlone, followed by the County town Mullingar. Westmeath is the largest county by population in the Irish Midlands, important commercial and marketing centres include Moate, Kinnegad, Delvin, Rochfortbridge and Castlepollard. T. E. Lawrence's birthplace. 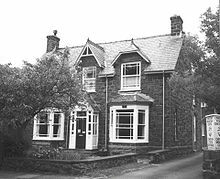 The house was originally called Gorphwysfa ("place of rest") before being given the English name of Woodlands. Later it reverted to the original name, albeit using modern Welsh orthography, as Gorffwysfa, but this has more recently been changed to Lawrence House. 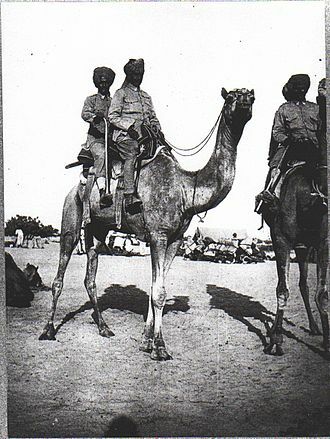 Soldiers of the Sharifian Army in northern Yanbu carrying the Flag of the Arab Revolt. 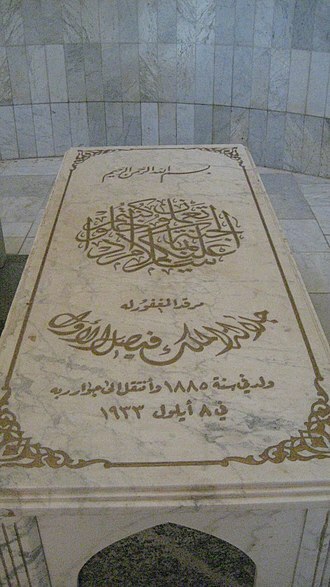 The flag of the Arab Revolt in the Martyrs' Memorial, Amman, Jordan. Transport crossing the Wadi el Bireh near Jisr el Mejamie on 27 September – it took two days to get 30 lorries across. Here 14 German lorries were bogged and abandoned. View east from the junction with Kingston Road and Hayfield Road. The Anchor public house on the corner of Polstead Road and Hayfield Road. Lawrence of Arabia's childhood home from 1896 to 1921 at 2 Polstead Road.